Over the last 60+ years Wal-Mart Stores (NYSE:WMT) has grown from one small store in Bentonville, Arkansas into the world's largest retailer with operations in 28 countries. Wal-Mart's annual revenues are now pushing near half a trillion dollars per year. Not bad for a company with such humble beginnings in small town Arkansas. The 60 years of growth for the company has also been accompanied by 43 years of excellent dividend growth. That gives Wal-Mart Stores the title of Dividend Champion. A lot has been said about Wal-Mart's demise; however, relatively meager yet achievable growth has the company trading at a discount to fair value. 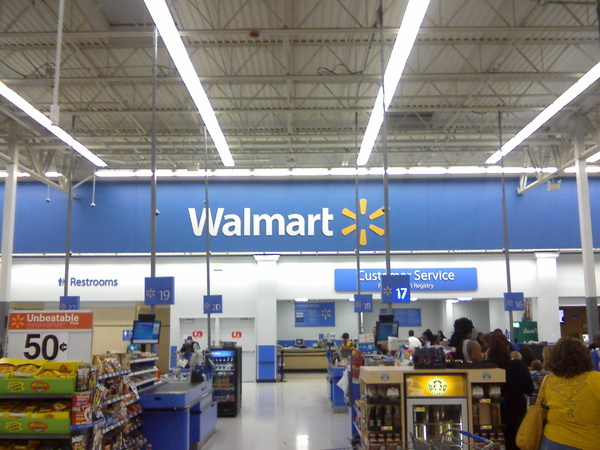 Read on to see what makes Wal-Mart a high quality company and why it's trading at a discount. Wal-Mart has long been one the top dividend growth companies out there and rightfully so with a 43 year streak of rising dividends. Even more impressive is that Wal-Mart had routinely grown dividends by the mid-teens percentage annually. I am long WMT so I am a little biased, but the case is.. I hate when people tell me that Walmart is dead because of Amazon. As you said, Walmart has $500,000,000,000 in revenue vs Amazon's $100,000,000,000. Granted it has the overhead to match, but it doesn't mean it is going bankrupt it just may not grow as fast.